When we look back in time in 10 or 20 years, 2019 is poised to mark the tipping point, when affordable electric vehicles finally became available en masse. With the award-winning Hyundai Kona Electric, battle-tested Chevrolet Bolt, and best-selling Nissan Leaf going head-to-head with the long-awaited $35,000 version of the Tesla Model 3, capable and affordable electric cars are not science fiction anymore. That said, the cost of lithium-ion batteries continues to weigh heavily on the bottom line. The more driving range, the higher the price. In the following pages, we’ll take a close look at prices, driving range, charging time, and federal tax incentives of 10 of the most affordable electric cars for 2019. 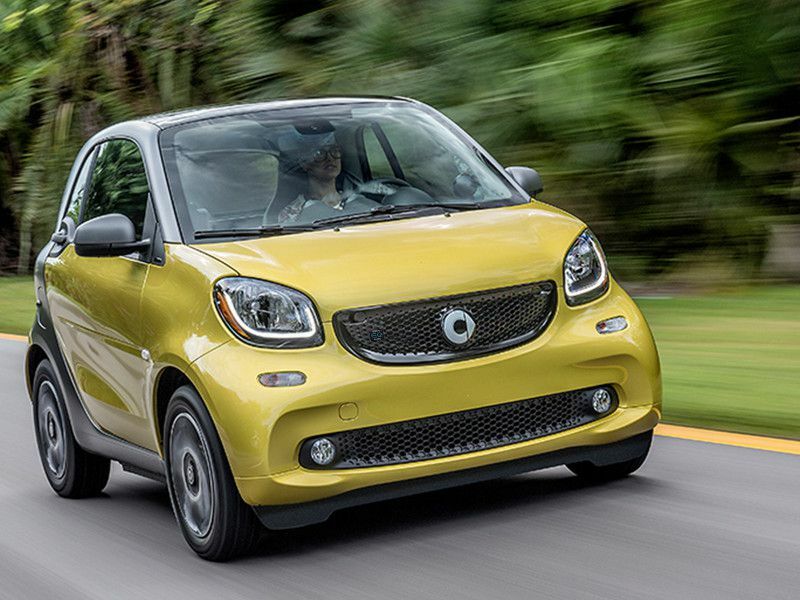 The itty-bitty two-seat Smart EQ fortwo comes in hardtop and convertible models. It's the most affordable electric car available in 2019, with the Pure hardtop starting at $23,900. In addition, 36-month leases start at just $139 per month. The Passion hardtop trim level starts at $25,390, and the Prime lists at $26,740. Driving range, like cabin space, is limited, with an EPA-estimated range of just 58 miles. That said, it’s a nifty and thrifty choice for single city-dwellers and beach bums alike. The Smart EQ is so tiny you can park it nearly anywhere. The EQ fortwo charges in three hours on a 240-volt Level II charger, and is eligible for a $7,500 federal tax credit. 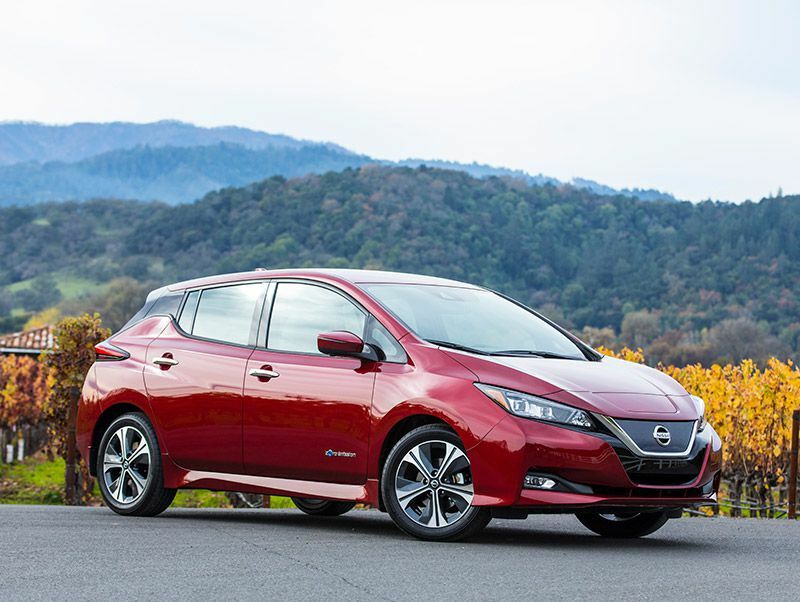 The Nissan Leaf has outsold every other electric car since its launch in 2010. The second-generation 2019 Leaf takes it to the next level with 40- and 62-kWh battery packs. 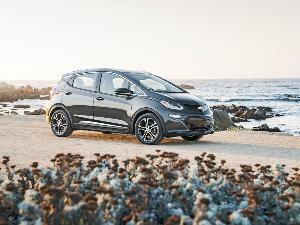 The base Leaf S starts at $29,990, with the 40 kWh battery. Stepping up to the 62-kWh S Plus costs $36,550. 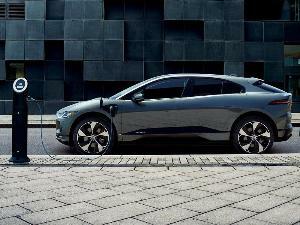 The 40-kWh battery provides an EPA range of 150 miles and charges in eight hours on a 240-volt Level II charger. A 50kW Level 3 DC Fast Charge takes the battery pack from 0-80 percent in 40 minutes. The 62-kWh pack has a 226-mile range, and charges in 11.5 hours on a Level II charger. There is 23.6 cubic feet of cargo capacity behind the second-row seats, and 30 cubic feet in the hatch with the rear seats folded down. The Leaf is eligible for a $7,500 federal tax credit. The Hyundai Ioniq Electric is a sleek four-door hatchback with an affordable starting MSRP of $30,315. Apple CarPlay and Android Auto support are standard on all models, along with heated front seats. The Ioniq Electric delivers an EPA range of 124 miles, and the 28 kWh lithium-ion polymer battery pack charges in four hours on a 240-volt Level II charger. A 100kW Level 3 DC Fast Charge takes the battery pack from 0-80 percent in 23 minutes. 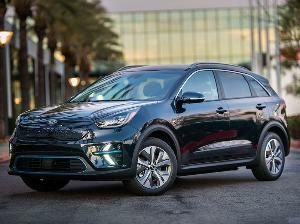 The Limited trim level ($36,815) earns the Insurance Institute for Highway Safety’s Top Safety Pick status, with a full a suite of advanced safety technology and dynamic bending headlights. 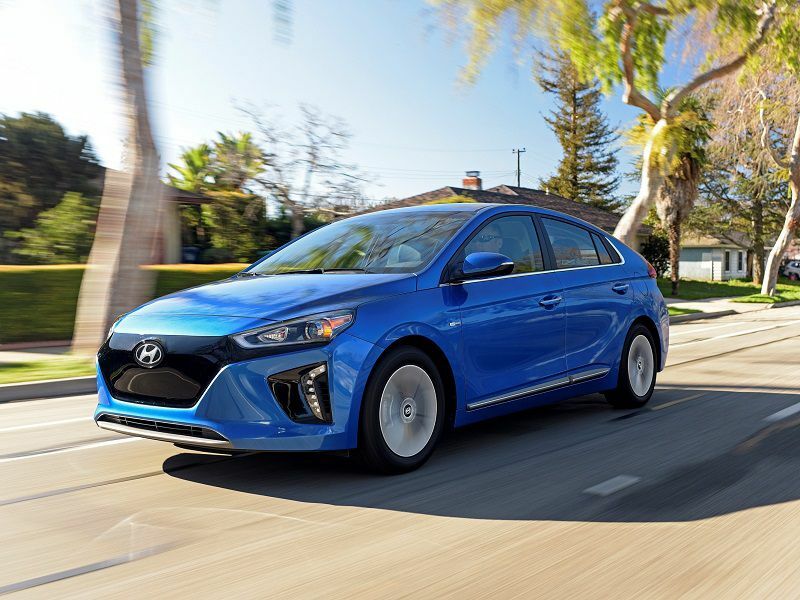 The Ioniq Electric provides an ample 23 cubic feet of cargo capacity, and is eligible for the $7,500 federal tax credit. 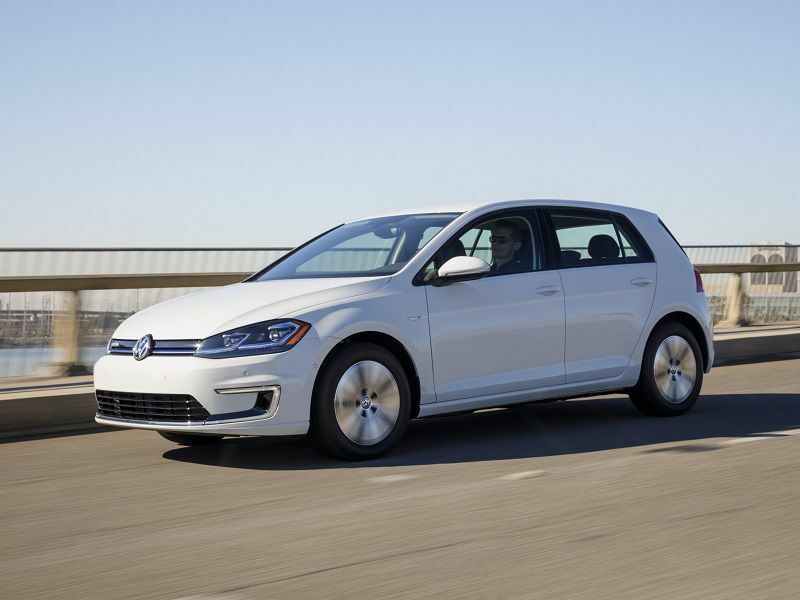 The 2019 Volkswagen e-Golf is a substantial value, offered in two versions: SE ($31,895) and SEL ($38,895). The e-Golf’s interior is nicely appointed, roomy, and versatile, with 22.8 cubic feet of cargo capacity behind the second-row seats, and 52.7 cubic feet with the rear seats folded down. Upgrade to the SEL version for a full suite of advanced safety technology and a 9.2-inch infotainment system with 3D navigation and gesture control. The e-Golf is a capable commuter with an EPA-estimated range of 125 miles. It charges in under six hours on a 240-volt Level II charger, and a Level 3 DC Fast Charge fills the battery to 80 percent in under an hour. The 2019 e-Golf is eligible for a $7,500 federal tax credit. 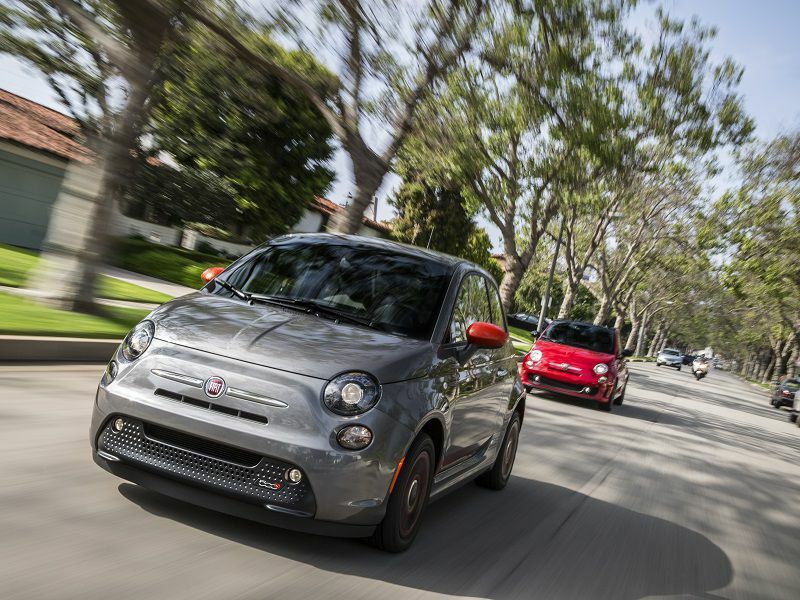 The Fiat 500e is a “retro-futuristic” subcompact EV that’s best suited for the city and suburbs. The stylish little critter has an EPA range of just 84 miles, and charges in under four hours on a 240-volt Level II charger. While there is a mere seven cubic feet of cargo capacity behind the second-row seats, it’s more versatile than its closest competitor, the Smart fortwo EQ (which has no back seat). Leatherette-upholstered heated front bucket seats are standard. The 500e only is available in California and Oregon, but it is eligible for the full $7,500 federal tax credit. The 2018 500e has an affordable starting MSRP of $32,995. 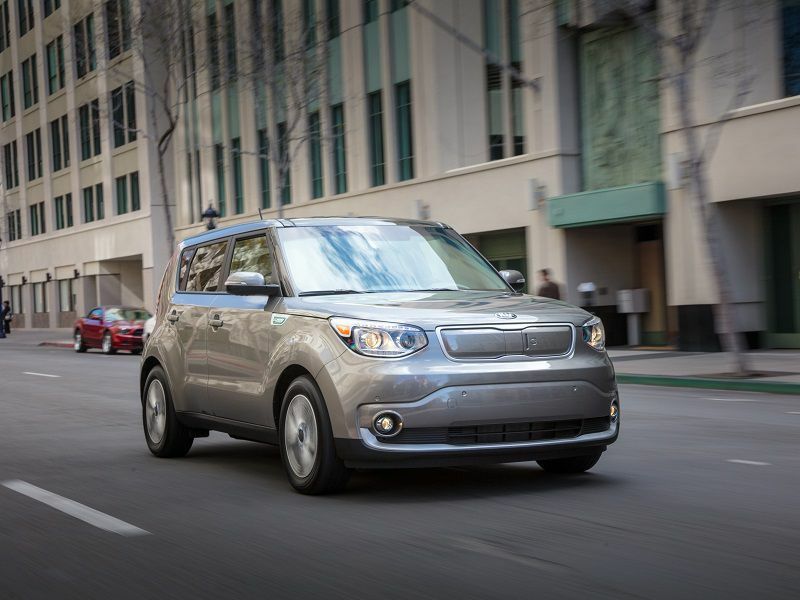 The 2019 Kia Soul EV continues to be a solid choice for electric car fans in California and Oregon. The boxy little beast carves a comfortable niche, with an affordable MSRP of $33,950, a spacious interior, and an EPA range of 111 miles. The Soul Electric charges in five hours on a 240-volt Level II charger and provides 19 cubic feet of cargo capacity behind the second-row seats. The Soul EV is eligible for a $7,500 federal tax credit. A thoroughly revised version is coming for 2020. After a long wait, the base Tesla Model 3 sedan is available for $35,000 with a standard cloth interior. The Model 3 base delivers a 220-mile range and a blistering 0-60 mph time of 5.6 seconds. Charging the battery pack takes 10 hours on a standard 240-volt Level II charger. 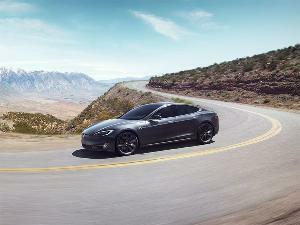 Tesla’s “Autopilot” technology is a $3,000 option, and “Full Self-Driving Capability” is a $5,000 option. The trunk provides 15 cubic feet of cargo space. 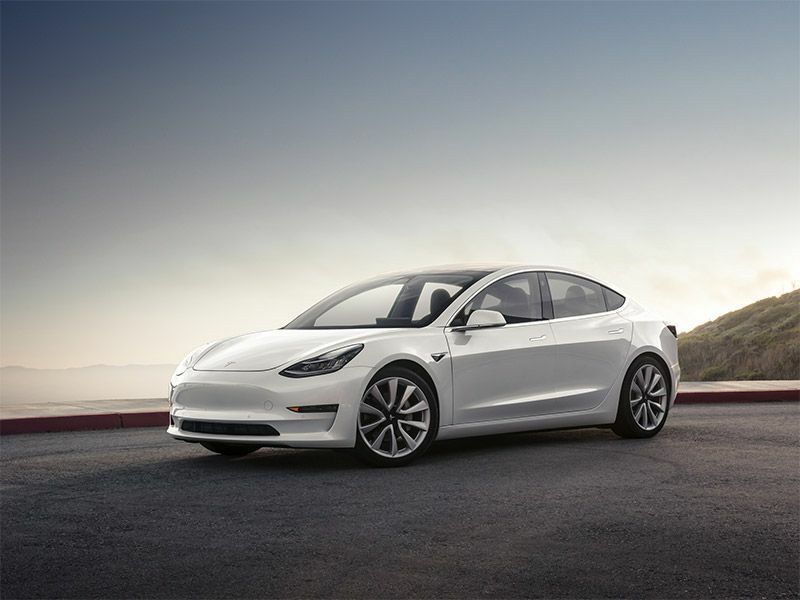 The Model 3 is eligible for a $3,750 federal tax credit through June 30, 2019. After that date, the tax credit drops to $1,875 through December 31, 2019. All Tesla tax credits expire on January 1, 2020. 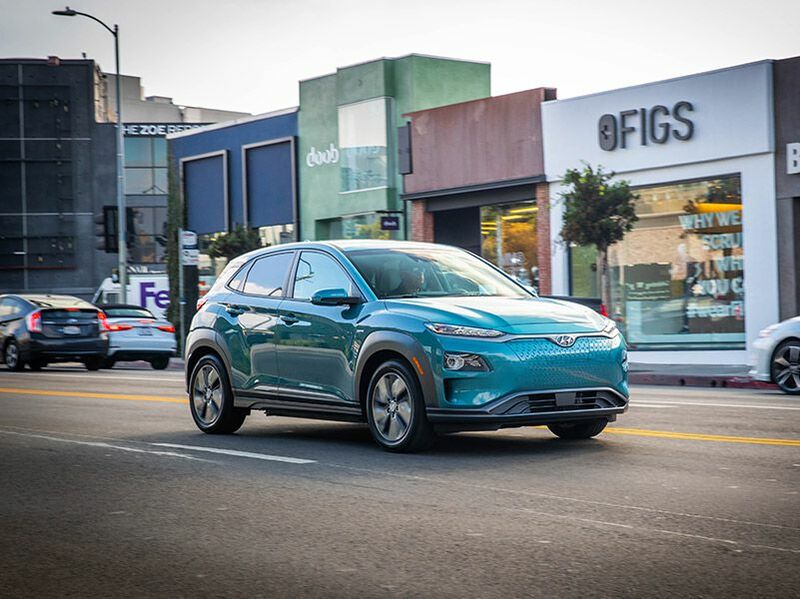 The Hyundai Kona Electric captured the prestigious 2019 North American Utility Vehicle of the Year award with attributes that include an EPA range of 258 miles. 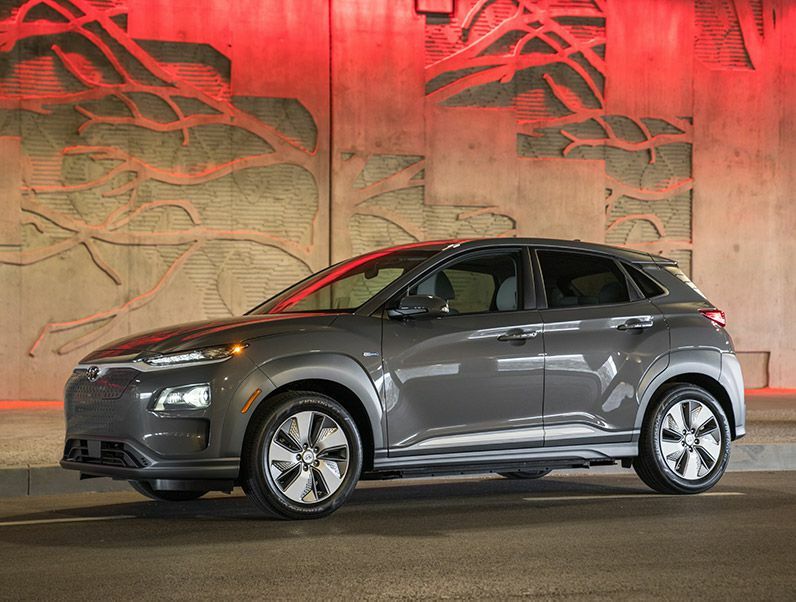 The Kona Electric’s 64 kWh lithium-ion battery charges in nine hours on a 240-volt Level II charger. A 100kW Level 3 DC Fast Charge takes the battery pack from 0-80 percent in 54 minutes. It’s a capable hauler, with 19.2 cubic feet of cargo capacity behind the second-row seats, and 45.8 cubic feet with the rear seats folded down. The Kona Electric Limited and Ultimate earn the Insurance Institute for Highway Safety’s Top Safety Pick+ status. 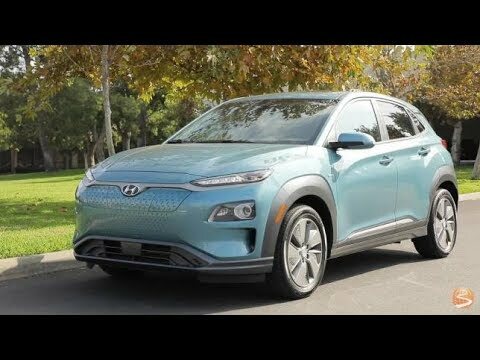 All said, the Kona Electric is an impressive subcompact SUV with an affordable starting price of $36,450. The full $7,500 federal tax credit makes it a solid alternative to the Tesla Model 3. 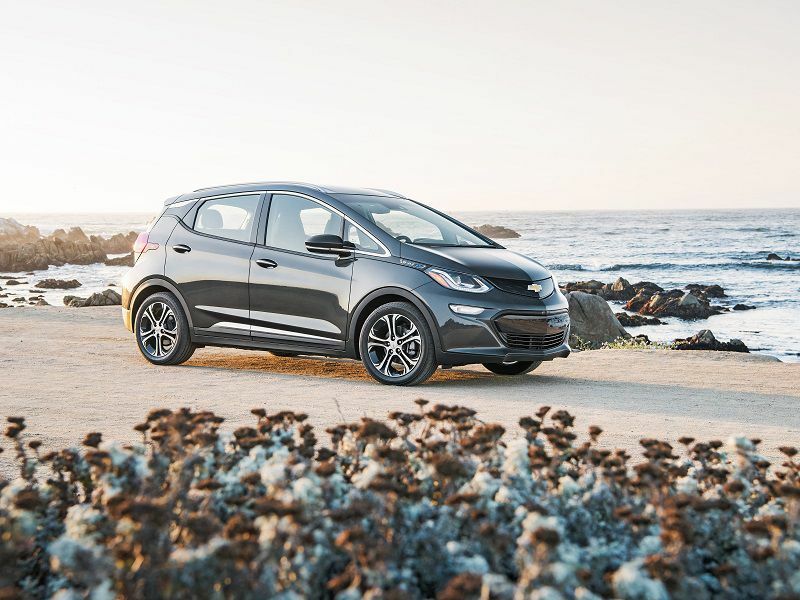 The Chevrolet Bolt is affordable, zippy, and fun to drive, with a 0-60 mph time of just 6.5 seconds. While the two trim levels - LT ($37,495) and Premier ($41,895) - seem a bit pricey, Chevrolet is currently offering substantial discounts. The Bolt has an EPA range of 238 miles. The 60 kWh battery charges in 9.5 hours on a 240-volt Level II charger, and a Level 3 DC Fast Charge adds up to 90 miles of range in 30 minutes. The Bolt is a surprisingly cavernous little hauler, with 16.9 cubic feet of cargo capacity behind the second-row seats, and 56.6 cubic feet with the rear seats folded down. The Bolt’s federal tax credit drops from $7,500 to $3,750 on April 1, 2019, then drops to $1,875 on October 1, 2019. The credit is set to expire on or after April 1, 2020. 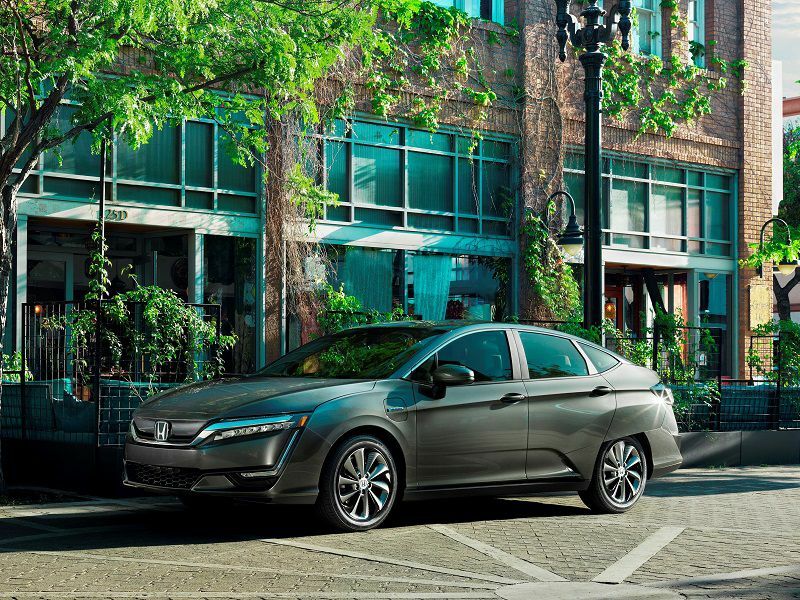 The Honda Clarity Electric is a roomy midsize sedan with an EPA range of 89 miles. While it’s one of the most affordable electric vehicles on the market today, Honda’s big EV only is available in California and Oregon, where you can lease, but not buy it. Clarity Electric lease payments are an enticing $199 per month, with 20,000 miles per year on a 36-month lease. Charging the 25.5 kWh battery pack takes 3.5 hours on a 240-volt Level II charger. A Level 3 DC Fast Charge provides an 80 percent charge in 30 minutes. The Honda Sensing safety technology suite is standard equipment. The Clarity Electric’s back seat allows room for three passengers, and the trunk space provides 16 cubic feet of cargo capacity.